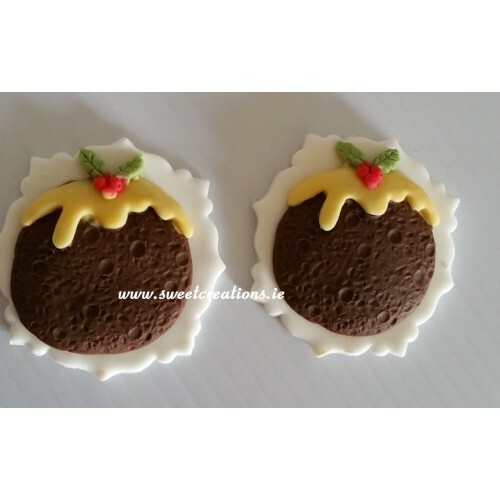 Handmade 2d Christmas pudding cupcake topper. Approx. 2" diameter. €2.55 per pack of 2. Edible Images. Printed on sugar sheets, which release from a backing paper so you can add them..